I am a healer and counselor, passionate about helping others to train their brains and follow their hearts to transform their lives. As a Grammy-nominated musical artist, I love to nurture and inspire. Music transcends. It connects us to others and gives us the ability to connect to our souls. When we connect through music, we cut through the static of our lives to go right to the core of who we really are. When I bestow the gift of music and it touches someone’s heart, I feel fulfilled and connected to something powerful and healing. Many ancient healers were also musicians. They taught that it is necessary to know something about a person’s music: the rhythms, tonalities, discords and concords of the mind, body and soul. When there is harmony within, we can express our true selves in the world. However, it can be a challenge to release the blocks in the mind and body that cut us off from fully experiencing the music of our souls. Hearing and playing the music of my soul has been and will be my life’s work, and I love inspiring others to do the same. My quest toward gaining knowledge in the art of healing began as a child, developed through my interest in nutrition, preventative medicine and self-exploration, and continued with studies in psychology, homeopathy and hypnosis. As a certified practitioner of hypnosis, NLP and HNLP, I have integrated the many different modalities I have studied and practiced to support a state of well-being in myself. When I can help others to let go of destructive habits, patterns, thoughts and feelings, the joy of healing comes full circle back to me. Making soulful connections makes my heart sing. Why do I practice hypnosis? We can be inspired and motivated to make positive changes in our lives but what often holds us back is our unconscious interpretation of experience. It is illuminating to learn that our unconscious mind may have a positive intention for even a negative behavior. Lasting change occurs when our conscious and unconscious minds work together. Real change work is personal and requires trust and commitment to your highest good. (You can resist if you want to but that’s not why you’re here, is it?) 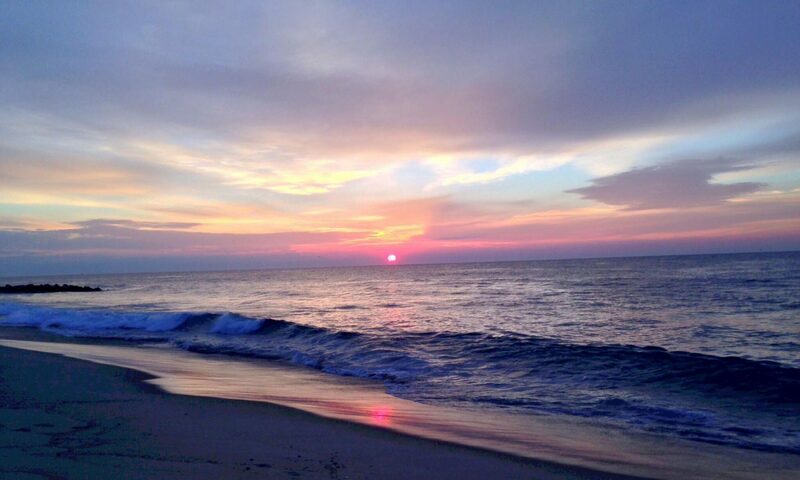 I can help you to move forward by creating a practice for your conscious and unconscious minds to share information with each other that is mutually beneficial, help navigate your course, and get you to your desired outcome in the best possible state. Contact Janina for a session. Janina helps people to let go of destructive habits, patterns, thoughts and feelings through hypnosis. She integrates the many different modalities she has studied and practiced into her work to support a state of well-being. 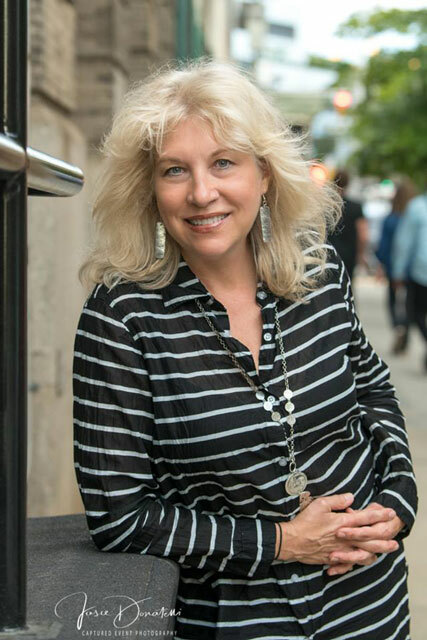 Her interest in nutrition, preventative medicine and self-exploration began at an early age, continued with studies in psychology, homeopathy and hypnosis and infuses her writing as a musical artist. Her sincerity and enthusiasm shines through her work which nurtures and inspires. 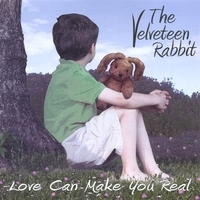 She received a Grammy nomination (Best Musical Album for Children) for her narration and vocals on the CD, “The Velveteen Rabbit: Love Can Make You Real”. This CD is available on CD Baby where you can hear sample files, and Amazon, where you can also download MP3 files. 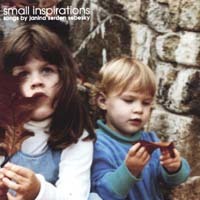 “Small Inspirations” (available on CD baby and Amazon), Janina’s recording of original songs about love, hope and transformation, was the inspiration for a musical, “Small Inspirations and Great Love.” The story takes place in the kitchen where nurture and nutrition combine to create a special recipe for food, family and togetherness. The songs are written about small moments in the day, passing thoughts, everyday occurrences. Janina has also written music and lyrics for a new musical, “Chick Soup,” about how women support each other. Four women in different stages of life meet in an OB/GYN waiting room and become friends. The songs touch on the shared elements of women’s lives: “Shoes,” “She’s Having a Baby,” “Hand Pick Your Man,” and, among others, “Chick Soup,” a song that welcomes all to the joyful sharing of sisterhood. A sample card from With a Card and a Song, e-cards for the soul. 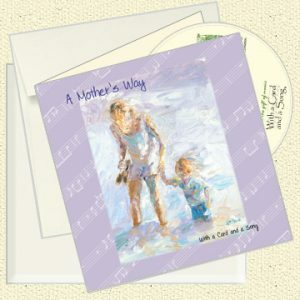 Her songs are also featured in a greeting card line at WithaCardandaSong.com. She is the author of “The Voice Workout,” a book of vocal instruction and CD of vocal exercises. Janina is a member of SAG/AFTRA, AFM, NARAS, and NGH. Please use this form to send an email to Janina. I am interested in a hypnosis session. I am interested in Janina's music or plays.